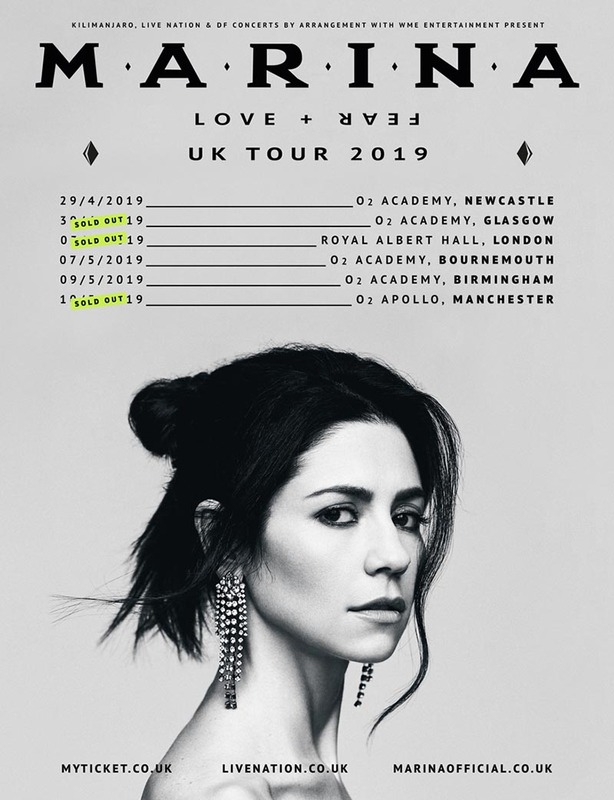 LOVE+FEAR is an album set split into two eight-song collections and lands as MARINA’S fourth full-length record since she released her critically-acclaimed third album, FROOT, in 2015. LOVE+FEAR are both lush, vibrant and powerful representations of the two main emotional driving forces behind human responses. LOVE is filled with a longing to enjoy life and a desire to unite and empower, while FEAR sees MARINA delve into matters of purpose and insecurity, also touching on conversations surrounding gender inequality and more broadly, the abuse of power. LOVE+FEAR are declamations that showcase these polarising sides of human nature. *The Albert Sessions enable young, world-class artists who haven’t headlined at the Hall before to showcase their talent on the main stage, whilst attracting younger audiences through lower ticket prices. As well as their headline concert, the artists host inspirational workshops and experiences for young people across all musical genres with the Hall’s Education & Outreach team.